This tour offers a unique opportunity for visitors to combine their visual and written communication skills. 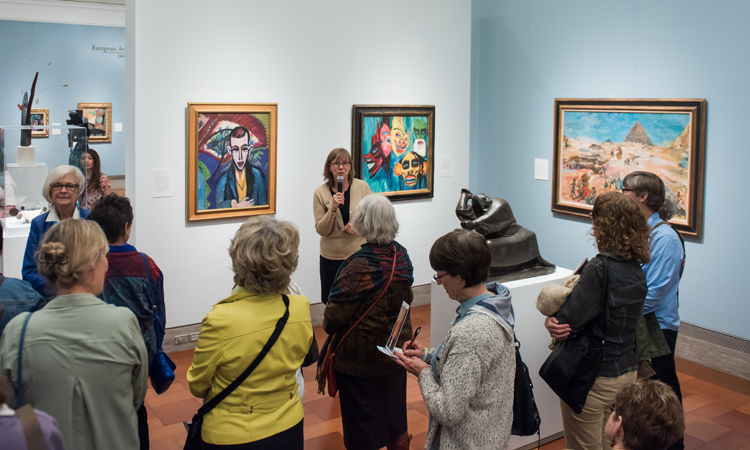 Docents will lead the tour through an in-depth looking experience in the Museum’s galleries and provide writing prompts for visitors to express their responses. The writing activities expand the visitor’s ability to look and respond to what is before them. We highly recommend this tour for teambuilding exercises.